Freddie Farrell started his stand-up career in late 2010. Birmingham based Freddie has a short storytelling style that brings you in to hang of his every word, he has a unique take on everyday life but with an added twist. 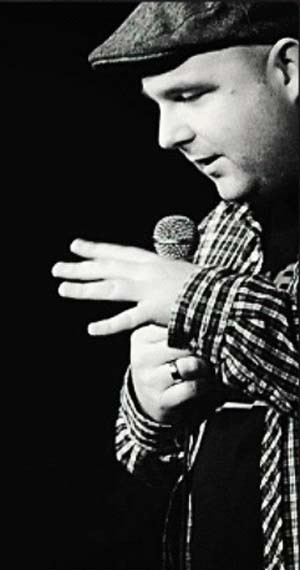 Within the first year of comedy he had shared bills with the likes of Sarah Millican, Chris Ramsey, Tom Stade & Phil Nichol to name but a few. Freddie performs at such iconic venues such as the Glee Club, The Stand, Jongleurs, Highlight, Comedy Store. He even had a 4 star review from Three Weeks for his first full run at the Edinburgh Fringe. As you can see Freddie has gigged all over the UK in rooms ranging from just the toilet attendant right up to 500 people waiting to laugh, fortunately they usually do. Freddie also has a very popular Podcast called 'Going In Blind'. Subscribe & check it out on iTunes!